At Senate on March 27, Senator Angela Campbell presented the revised version of McGill’s Sexual Violence Policy, which passed at their meeting. The following day, an email was sent out to students detailing the changes to the policy and expressing the administration’s satisfaction with the policy’s developments. In presenting the policy, Senator Campbell stated that immediately following its adoption, a standing committee would begin working to fully implement the policy, and that the working group would continue to meet to assess its effectiveness. SSMU representative Andre Lametti voiced his disappointment with the policy. He expressed his opposition to statements, made in the previous meeting, that the administration had struck the correct balance between respecting students’ individual freedoms and protecting students from sexual violence. Speaking to the policy in general, Lametti stated that the complexity of the document meant that a simple yes or no vote would not fully do it justice. He also spoke to students’ concerns that the consultation process did not allow for their views to be fully reflected in the proposed policy. Senator Campbell responded, stating that though she shares Lametti’s disappointment at student dissatisfaction, she believes McGill’s policy to be a document that is already intrusive into students’ intimate lives. 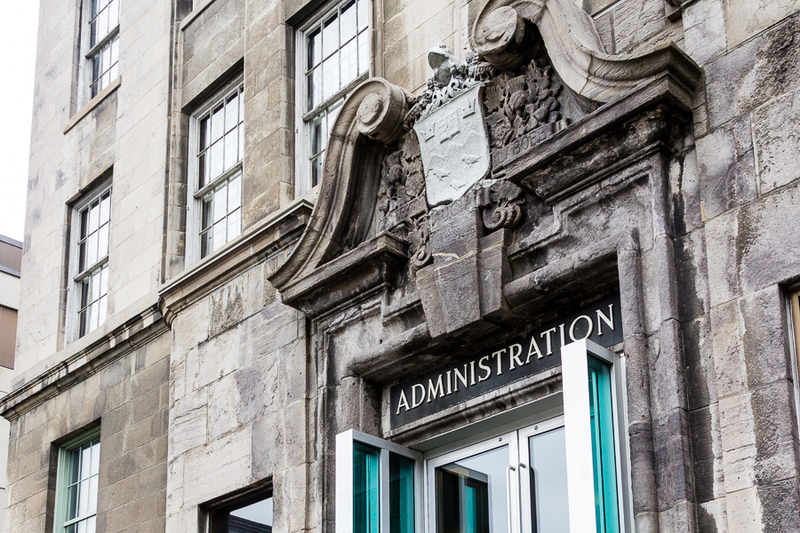 The morning of the Senate meeting, the Sexual Assault Centre of McGill Students’ Society (SACOMSS) released a letter expressing their dissatisfaction with the policy and their reservations about the issues that they felt were left unsolved. The letter recognized the progress made with the new policy, but ultimately expressed frustration with the administration’s refusal to explicitly prohibit all relationships between faculty and students, as well as the policy’s avoidance of recognizing unequal power dynamics in such relationships. In voicing their discontent with the new policy, SACOMSS presented two demands to the administration: that the McGill administration publicly state their rationale for the decision to not prohibit all faculty-student relationships, and that McGill lobby the provincial government to extend privacy laws in order to enforce broader prohibitions at the University. During the Senate meeting, SSMU representative Madeline Wilson referenced SACOMSS’ letter and demands, asking if the University would entertain them. Senator Campbell responded by saying that both demands had been responded to already: the first demand has been outlined in a legal brief presented to the working committee,and the second has already been presented to the previous provincial government, and is not legally possible under Bill 151. She added that the newly-elected government has expressed that they have no intention of changing current privacy laws. SSMU President Tre Mansdoefer echoed statements from other SSMU representatives, extending his support for a full prohibition and the council’s motion backing the stance. He stated that all SSMU members would be abstaining from the vote, as they do not feel that they can fully support the policy and cannot vote ‘no’ on a policy that has made marked improvements. In closing the letter, SACOMSS stated that they cannot endorse McGill’s Sexual Violence Policy or support the administration’s responses to sexual violence. The Provost’s statement spoke to the need for continued work on the University’s policy, but offered no opportunity for students to voice their concerns with the current version. Documents from the Senate meeting state that the policy would be up for review again in March of 2022.